UPDATED, July 13, 2010 — Gálvez was released under deal between Spain, the Catholic Church and the Castro dictatorship. In what is a too-common fact about Fidel Castro's gulag, we are hearing about yet another political prisoner suffering from poor health. Reporters Without Borders (RSF) reports that independent journalist Julio César Gálvez Rodríguez told his wife that he recently was unable to fall asleep because of a sharp pain running from his right arm to his chest. He was taken to the prison infirmary, but the doctor on duty was already operating and could not see him. Also, Gálvez told his wife Beatríz del Carmen Pedroso that he had not been let out in the sun in more than a month, although he is suppose to receive sunlight every day for medical reasons. "His family has several times asked the prison authorities to respect their own rules but the requests have been ignored," an RSF update states. Gálvez, 61, is one of the Group of 75 journalists, librarians, human rights activists, labor unionists and others arrested during the "black spring" crackdown of March 2003. The next month, he was tried, convicted for being in contact with foreign media and writing "subversive" articles intended to "undermine and internally destroy the Revolution," and sentenced to 15 years in prison. While in prison, Gálvez has suffered from a variety of health ailments, including osteoarthritis, high blood pressure, hepatitis and a high cholesterol level, according to RSF. In 2004, Gálvez's wife requested that he be released on medical parole, but the application was denied. 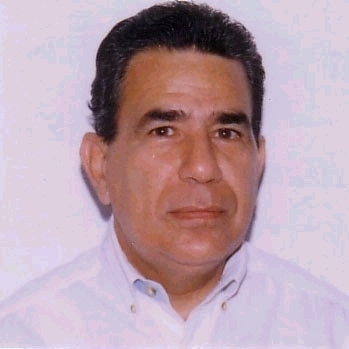 Gálvez worked for a bus company, then taught physical education before becoming a sports and cultural journalist for the official media (radio, TV and newspapers). He joined the independent press when he was sacked in July 2001, mainly because of his links with the illegal trade union the United Cuban Workers’ Council. He worked with the independent Cuban Civic News Agency and contributed regularly to Carta de Cuba, Encuentro (online version), Cambio Cubano and Cuba Nuestra, as well as the Voice of America and Nuevo Herald, in Miami. He was also on the staff of the magazine Perfil Social. For more on Gálvez, in Spanish, go to PayoLibre. 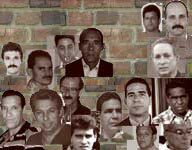 For more about the 20 imprisoned independent journalists in Cuba, go to Payolibre, CubaNet, Cuban Political Prisoners or Reporters Without Borders. To see pictures of all the imprisoned journalists, go here. For more on the Cuban dissidents, including a chance to "adopt a dissident," see the Cuban American National Foundation's Web site. Perhaps the most important thing you can do is find and read the work of Cuba’s independent journalists. A place to find their articles, in Spanish, English and French, is CubaNet.